Sorry, I just had to. Hey, everyone. I just learned about this site from a guy I met at a convention yesterday after his 07th Expansion panel, so I’m pretty excited to be here. I’m Leo Kusanagi, 25 yrs old and I live in the US. It’s kinda a funny story of how I got into the series. I used to be a big fan of doujin fighters, thanks to games like Scarlet Weather Rhapsody and Melty Blood. During that time, one of my friends showed me the game Ougon Musou Kyoku (Or Golden Fantasia, as the localization confirmed it to be). Since it was in Japanese, I didn’t get to absorb much of the storyline, but I did recognize the characters. Fast-forward to a few years ago, I found out that one of my other friends roleplayed Beato. I wanted to roleplay with her, but I knew nothing of Umineko outside the name and the characters. She tried to explain the story to me, but everything was so confusing that I decided to play the VN on my own time. Probably the best decision I’ve made, as Umineko is pretty much my favorite visual novel so far. The only other series that I touched in the 07th Expansion name so far is Higurashi, but like how Umineko once was, I only know the name and the characters, along with the “Nipah” thing. Since the panel I went to yesterday, I am definitely planning on looking into the other series. Aside from 07th Expansion titles, I am a huge fan of visual novels in general, especially ones that have detective roles. My personal favorite would have to be the Danganronpa titles. I’m also big into anime fighting games, JRPGs and rhythm games. When I’m not playing videogames, I’m usually roleplaying with friends whenever I can. Hey, welcome! If you happened to be at Matsuricon, I was the Maria! I’m glad you found the community and hope you enjoy your stay. I remember you. I knew you told me your username, but I forgot to ask again later for memorization. I’m really looking forward to being here. Since you know all of the magical secrets of Umineko, I recommend checking out the spoiler threads for Umineko! They’re separated per episode, but I’m sure you’ll be able to navigate yourself just fine! You can also check out our other Umineko centric stuff like your favorite adults, the Umineko 10th Anniversary, your favorite scenes, your favorite characters, describing Umineko in 50 words or less, the moments that made you cry, our local Umineko let’s play, even a whole topic dedicated to Golden Fantasia (I’m going to challenge everyone here once it’s on Steam, so prepare yourself)! Rokkenjima is also home to some rather… crazy theories that you may find interesting! Of course, you’re also more than welcome to check out our previous Book Clubs! In fact, I encourage you do so! It’ll allow you to become familiar with our thoughts, our voices, and our nonsensical theories! So far we’ve covered Umineko 1-4, Higurashi 1-5, and the newly translated Higurashi arc, Someutsushi! You can read up on them by checking out the spoiler free threads, or by listening to our lovely podcasts! Between the two I recommend the podcasts, that way you have a voice to put to a names you see on the forum! You can also help host our Higanbana podcast if you’d like! As for other stuff you may enjoy we have a whole topic dedicated to gaming. Quite a few people are into rhythm games and JRPGs here! Of course you can also talk all about other visual novels, share your VNDB list, talk about your MBTI type, movies, books, music, hobbies, your detective theme, pets, ideal crossovers, your wishlist, even tips to get over boredom! Oh, and you might want to get an actual profile picture! I like Goat-kun and all, but I want you to get a unique profile picture so that people can look at you and say, “Yo! That’s my dude Leo right there!” It’s nice to be able to put a face to a name, and a name to a face! And whenever you get a chance, you should absolutely read Higurashi! Maybe read along with our theories/listen to the podcasts? There’s more to Higurashi than just cute lolis doing cute loli things! That would be me! Glad to see you here! Hello, everyone! I´m from Spain, so my writing skills may not be the best, sorry! I discovered this forum by searching for opinions on Umineko, the VN (and my new personal religion) because, this is definitely the biggest writing mess I have ever read in my life and I love it and hate it at the same time. Right now I am playing through Episode 5 and it is fantastic, Erika is one of the best Mary-Sue characters I have ever seen in my life. I did spoil myself on the ending of the VN, which is a pity, but after the rollercoaster that was EP 4 Tea Party, I could not hold myself any longer. As for myself, I am a 17 year old Spanish weeb, for the most part I actually consider myself quite casual about my hobbies, although, when you start playing Japanese Visual Novels about serial murders and bunny girls, you are definitely somewhat deep into it. I love JRPGs and VNs, but strangely enough, I never could get into anime and manga. Favourite VN is Virtue´s Last Reward, favourite JRPG… too many, changes every 2 months. I hope one day I might be able to understand Umineko, but I doubt it. Welcome to Rokkenjima! Im sure u4ea will be here soon with links, but we have threads for Umineko (spoiler and non spoiler) if you want to try to figure things out with everyone, or if you want to read other peoples thoughts on each episode! Ahh, yay. It’s always fun to see people who are still reading through it. Especially EP 5 and 6, those arcs are great. And your writing is fine~. Welcome! U4ea is taking a break from the forum, currently. It’s not really my place to talk about it, though. @Yata Welcome to Rokkenjima! I hope you like it here. Spain, huh? We have a few members such as @SleepingPliskin who are fluent in Spanish, and I’m in my third year of studying it! I’m glad you’re enjoying the series, even if you did spoil yourself. I was a victim of internet spoilers, as well. I recommend checking out the spoiler free threads for Umineko. They’re separated per episode, but the search feature makes it easy to find them. You can also check out our other Umineko-centric stuff like your favorite adults, the Umineko 10th Anniversary, your favorite scenes, your favorite characters, describing Umineko in 50 words or less, the moments that made you cry, our local Umineko let’s play, even a whole topic dedicated to Golden Fantasia (I’m going to challenge everyone here once it’s on Steam, so prepare yourself)! Rokkenjima is also home to some rather… crazy theories that you may find interesting! As for other stuff you may enjoy we have a whole topic dedicated to gaming. Quite a few people are into rhythm games and JRPGs here! Of course you can also talk all about other visual novels, share your VNDB list, talk about your MBTI type, movies, books, music, hobbies, your detective theme, pets, ideal crossovers, your wishlist, even tips to get over boredom! We get off topic a lot here. Hello everyone! So, I’ve been lurking around here for a while now, and I’ve finally decided to join this adorable community! To introduce myself properly, I’m a french guy who discovered the WTC series two years ago. I’ve first started with Umineko and since I completely fell in love with it, I then read the french translation of Higurashi and I can now safely say (unsurprisingly) that the WTC series is the best thing that ever happened to me! By now, I’ve also read Higanbana and Rose Guns Days and I’m very excited for WTC5! Oh, and I’m currently trying to read the Spanish translation of Umineko as well to improve my skills (even though I know it’s going to be hard! ^^). Welcome! Glad you decided to post on this thread, as it is how we get to know the members. 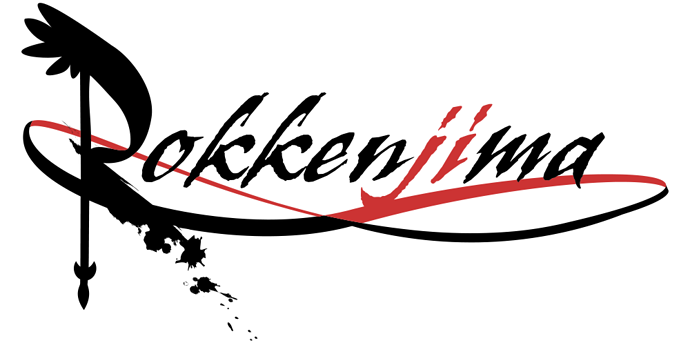 As of now, Rokkenjima is having a book club for Higanbana, so join the discussion if you so would like! They call me Pliskin or Pli for short. You can message me as well if you want to talk about stuff or anything regarding the forum. Seems like you’re interested in improving your Spanish, which is something I can maybe help with, as I also speak Spanish. There are many threads from Spoiler analysis of characters, off topic things like Favorite Pizzas, or our own bgm! (I would post hyperlinks but I’m awful at using the forum, hehe). And although I am not a music major, I do enjoy Metal a lot. I listen from DIO, Sonata Arctica, Delain, Nightwish, Metalica, Pantera, and much more. So I guess in terms of Metal Genres, I like Power, Speed, Gothic, Symphonic, and Thrash the most. Though I like a lot more different music genres as well. In the forum, we also have Gameboards, in which the members get bored and play games with each other. Some are puzzles, some are riddle based, narrative based. Then we have mafia, which is by far our most popular gameboard. Hope we get to know you more! Wrong form of there, Pliskin. Welcome! I’m Flare, and as you can see, I correct people’s grammar often. Hope you enjoy it here on our cozy little forum! I’m 17 years old and live in the UK. My fall into the amazing rabbithole that is the 07th expansion fandom has been quite an odd one to say the least. My first run in like many people was through the Higurashi anime give or take 3 years ago (even I am confused about how I managed to survive the violence of that anime at 14) however I only found out about umineko’s existence very late last year when I was listening to the higurashi anime soundtrack on youtube when worldendominator was on my suggestions box. So far I have read all of umineko and rose guns days and am taking a break from VNs before starting higanbana. EDIT: I also found this website from a link on r/umineko discussing updates WtC5. Welcome! Since you are both a Higurashi and Umineko veteran, there are spoiler threads you can shares your thoughts in or read other peoples thoughts! There are general threads and episode specific threads. When you start Higanbana, we have some threads up for the First and Second night chapters, and a podcast for some of the First Night chapters. Of course, if you want to talk about random stuff like pizza and music preferences, we have threads for those too! I hope you enjoy your stay here! Heyyyy it’s another person with an abstract, three-letter username! Welcome.